Our clients understand how a good diet and exercise regimen can increase longevity and improve strength and stamina. But what about your mental fitness? The fact is, your brain — just like your body — can be trained for greater performance (or “strength”) and focus (or “stamina”). A resilient and flexible brain improves our state of mind. NeurOptimal®’s Dynamical Neurofeedback® is essentially a brain fitness program which facilitates a more efficient use of neural resources. What does more efficient brain function “feel” like? The first thing most of our patients notice is a substantial improvement in the quality of their sleep. Many report that they dream more vividly and sleep more soundly. After a few NeurOptimal neurofeedback sessions at Universal Chiropractic, our patients report feeling more focused, calm and centered. They work faster, more efficiently and experience a significant reduction in physical complaints. They’re less bothered by doubts and insecurities and are more apt to experience confidence and satisfaction. Nagging, upsetting thoughts simply drop away with no effort on our patient’s part. Free from distraction, their brain can focus on the present and naturally discover the best way to tackle the task at hand. NeurOptimal® is safe. It is utilized everyday by thousands of trainers and home neurofeeedback users worldwide. Collectively, these neurofeedback systems have logged in excess of THREE MILLION training hours. 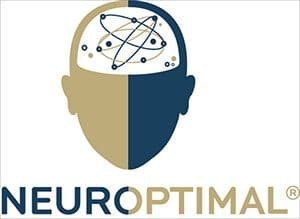 At a recent conference in Palm Springs, California, neurofeedback trainers reported positive outcomes when NeurOptimal® neurofeedback training was utilized with clients coping with ADD, ADHD, PTSD disorder, Alzheimers disease, autism, sleep disorders, insomnia and cognitive dysfunction from chemo-therapy. But the only way to truly appreciate the benefits of NeurOptimal® is to experience neurofeedback training yourself. Call or email Universal Chiropractic today to embark on your own, life-changing NeurOptimal® journey.